Welcome to the stand-up reality of Wolfie. His act is a “45 minute laugh vacation from the monotony of middle-age." 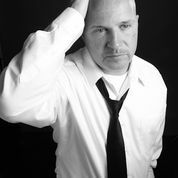 *Author of the critically acclaimed book, ABC’s of Stand-up Comedy. Matt Wohlfarth was awesome. I hired him for my wife's 50th birthday party. He was the hit of the party. He kept everyone laughing and set the mood for the rest of the night. Thanks Matt for sharing this milestone event. My wife would like to book you for her 100th. Dan, you assembled such a great group of people in that great little cabin. Thanks for booking me! Your family is amazing! 2nd year in a row we have booked through Matt. We added about 65 new ticket sales this year based on the 2017 show and we expect to duplicate that increase if not better in 2019! Matt has brought in great talent and everyone had a great time. Matt, keeps communication open and did a great job emceeing the night. He even took part in some of the games of chance we had for the night. A+ great guy, and we will be in contact for next year! Carmen, thanks for putting together such a great group! Matt helped our club throw an amazing comedy show to raise money for a great charity orginazation. He was very responsive during the entire planning process. He was the MC for our event and he kept everything moving along and was very funny! The other comedians he brought in for our event were hysterical and everyone had a great time. In fact he have already booked him for our event next year. Matt is a great person to work with and we highly recommend him to anyone that wants a ton of laughs. This was one of the funnest and craziest events I ever performed. The USMVMC did a great job to pack the venue! Wanted to take a moment to give Matt Wohlfarth and his comedians a shout out for another spectacular show. I am the events manager for the Chartiers Room in Bridgeville Pa. I work with non profit organizations all the time to raise money for their respective organizations. I refer groups all the time to Matt because he puts on an outstanding and hysterical show everytime. He takes pride in his work and it shows. So if your looking for a night of laughs contact Matt. You wont be disappointed! We will book again. Matt and staff were on time and great communication even before the event. I feel they were very professional very nice to work with. This was our first Comedy Night event and our guest have a great time. Looking forward to booking in the future. Thanks Karen, for all of your hard work and the unbelievable crowd and venue.! Matt was a delight. He had us all laughing and some of us crying from laughing so hard. Thank you Nancy for the great group and tour! The Soldiers and their family members had a very enjoyable evening. Will definitely book more events with that trio!! Thank you Kevin for such a great group! Matt was the entertainment for my husband's surprise birthday party and he made the event a total hit! He took the time to incorporate jokes about my husband and did a great job of involving the rest of our guests. Would absolutely hire Matt again, he did an amazing job! Thanks for such a fun night! Thank you! Keep me in mind for any future shows. An great person to work for that knows what he is doing! Matt was an overall pleasure to work with. He not only came the previous day to see what he was working with for the day of the event, he made sure he had all things he needed to bring for the show, all the comedians lined up accordingly with a featured bonus act, plus he came back the following day to follow up and recap the evening! I would recommend Matt hands down and would select him to work with again in the future. George, thank you for the great show space. Congratulations on 10 years of 3 Rivers Harley Davidson! Raquel and your team did a bang up job of planning an A-1 event! Please keep me in mind for anything you may need in the future! I left there a lover of Harleys and Harley people! Today the DSD Board reviewed the :Laugh For Event held on Feb. 18. Overall the event was a success. Matt did an outstanding performance. However, the audience did not give favorable reviews for Felicia and Chuck. Too much swearing and inappropriate adult humor considering the audience that attended. The Board was surprised to learn that Chuck would be the headliner and not Matt. Not sure if the other two comedians were informed of the mission of Don't Stop Dreamin' and the selective audience. Patty, thank you for the honesty and candor. I will take there responsibility for the communication to the comedians. I am truly sorry if some of the attendees were turned off by the language. From the comedians stand point we all loved the audience that you assembled. I still look forward to teaching comedy at one of your facilities in the future. I appreciate you using my services and I will learn from it. I can only tell you Matt provided us with an A+ lineup for our fundraiser. If you want an event where everyone leaves smiling and talking about the night. You need to contact him. Thank you Matt! Thanks Carmen for all of your help in making this a success! Looking forward to next year! Matt came to bring laughter to our son's 21st birthday this past Sunday...Great guy. Impressed with his down to earth demeanor and friendliness. His humor was perfect for our event. Clean and very funny. He helped to make my son's day memorable and we are very grateful. Hire him, hire him , hire him !!! 5 Stars !!! Thank you so much for the great show and humbling review! It was a special day and those pierogies and stuffed cabbages were simply amazing! Matt has put two fundraisers together for me the past two years. He does a great job getting good talent to do the shows with him. I would recommend him to anyone looking to have a comedy show. Matt is a great comedian on his own and surrounds himself with other great comedians that compliment his talent. I had experienced an amazing night of laughing at a local comedy club, so I recommended Matt for an event at a Private Country Club. He was a hit, had the crowd laughing and interacted with them. I would recommend Matt anytime, and would definitely use him again in the future. He is a barrel of laughs!! Matt everyone laughing from start to finish. Matt performed at a retirement party for one of the shareholders of our law firm. Matt took information we gave him regarding the shareholder and worked it into his routine. Everyone was laughing from start to finish. I highly recommend Matt. My husband & I wanted to ensure that our guests had a great time at our wedding reception. With Matt’s jokes, mission accomplished! Matt provided the perfect entertainment. He is hilarious! His jokes were light hearted. He got our guests involved & made the extra effort to make every one of our guests laugh. I knew I made the right choice when I noticed several of my guests wiping tears from their eyes from laughing so hard. Our guests are still raving about what a great job he did! Wedding receptions can be quite boring. 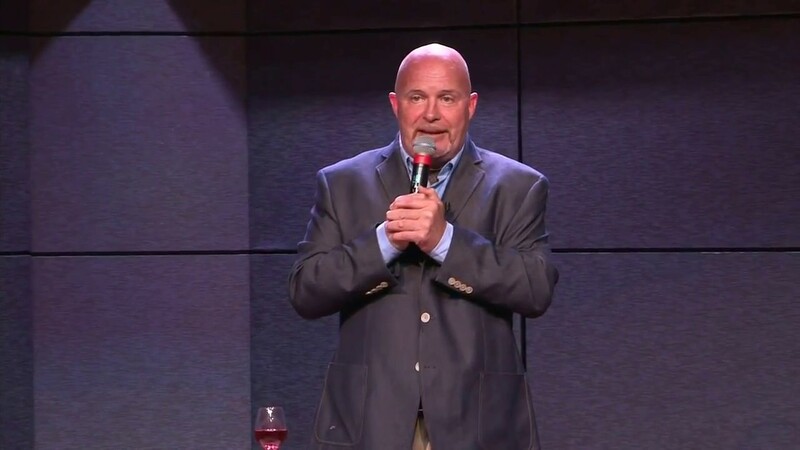 So I think it’s a great idea for couples to have a comedian at their wedding reception to liven up the event. WAIT, I think it’s a great idea for couples to have Matt Wohlfarth at their wedding reception to liven up the event!!! Matt definitely exceeded my expectations! He was a perfect addition to our day, and I honestly would have regretted not having Matt there to entertain. I can’t say enough good things about Matt! My friends and I cannot wait to see Matt perform in Pittsburgh soon. Matt put on a fundraising comedy jam for our travel baseball team. He is one of the best comedians I have seen. Matt is a wonderful person to work with to help promote your event. He works hard to help your needs during the events. Matt just plain and simply puts on a great show. Looking forward to doing another show with Matt. One of the BEST in the business!!! As a comedy producer for 20 years I've booked literally hundreds of comedians. Matt Wolfarth is at the very TOP of my list when booking a funny and diverse comedian. Whether I wanted him to work clean or a little on the risque side, he NEVER failed to deliver an outstanding performance. And audiences simply LOVE him! Do yourself and favor and book him for your next event---NOW!!! He's incredibly busy because he's incredibly good!!! FANTASTIC!!! Can we give more than 5 stars? We had no prior experience working with Matt when we hired him for our rowing organization's fundraiser "Laugh Your Oars Off!". There is no question nearly everyone in the audience did just that. We set a target to raise, and with Matt's comedy along with that of fellow comedians Tony Monteleone and Aaron Kleiber, we exceeded our expectations and are already planning two more events for next year with Matt. If you want a great show, work with Matt. You will not be disappointed. We booked Matt for our Corporate Holiday Party, which I have been told over and over from employees that it was our best party yet. Thanks to Matt for the wonderful entertainment that had our employees in stitches the entire time. I would highly recommend Matt for any event, and I hope to work with him again in the future. We had a Mixed age. professional group - Matt was great ! He worked out group into his performance. All comments I heard were "he is hilareous, I laughed until my sides hurt." etc. I have had several folks ask for his contact info. Aside from funny, he's 100% reliable. I have hired Matt on multiple occasions, he has a remarkable ability to adapt to any crowd and work for any event. Whether he's warming a crowd for an event or headlining the show you can count on 100% quality and 200% funny! 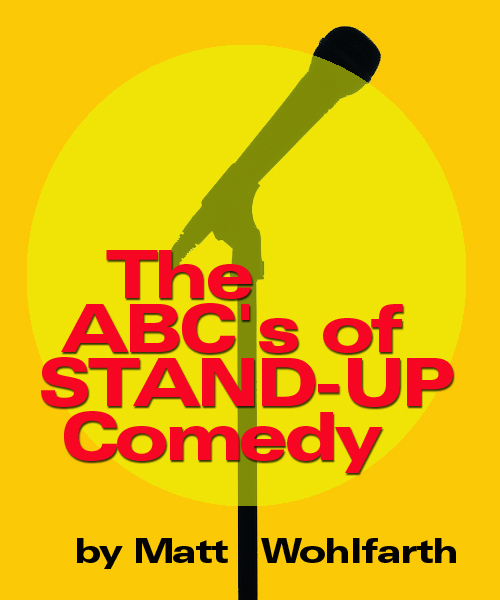 I highly recommend Matt Wohlfarth for anyone looking for a seasoned comedian with a universal appeal. This show is the standup reality of Wolfie. Wolfie talks with great hilarity about surviving parenthood, work and suburban life. Wolfie is straight out of the hood, parenthood. The standup reality of Wolfie is all true stories told with hilarious effect about surviving suburbia. This act is perfect for fundraisers. 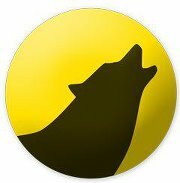 Wolfie is also regularly published in the Pittsburgh Tribune Review and also Reader’s Digest. *best-selling artist for Primitives by Kathy home decor sold at Hallmark, Amazon, TJ Maxx, and Marshall stores nationwide. Picture Al Bundy doing standup. I am just a suburban father trying to survive love, life as I clumsily pursue happiness. Woody, Allen, Steven Wright, Brian Regan, and Sam Kinison. I need lights and sound unless previously discussed I can bring my own at minimal cost.